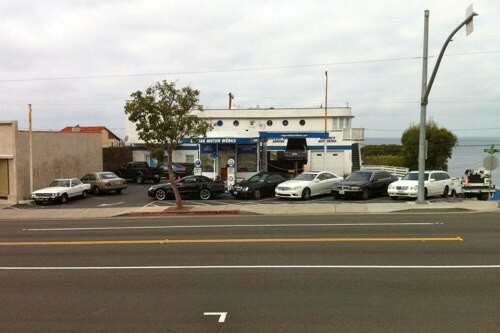 Best Mercedes-Benz repair in Laguna Beach, Orange County CA. 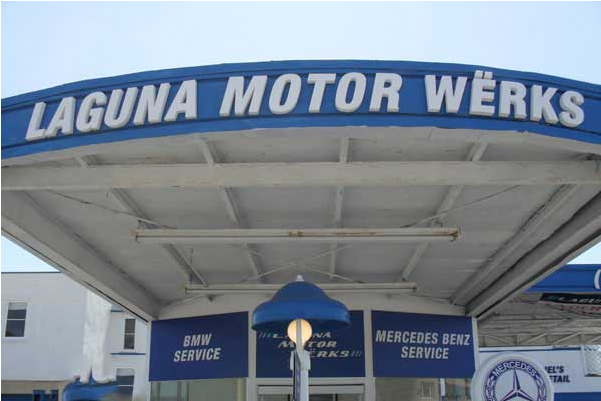 Laguna Motor Wërks is Laguna Beach's premier German car repair repair facility specializing in Mercedes Benz service and repair in Orange County. As a locally-owned and operated business, we take pride in our ability to provide our customers the very best in customer service and repair for their refined German vehicles. The only thing "retro" at our sparkling clean, retro-looking Mercedes-Benz repair center is our quaint 1950s look! We use the most current state-of-the-art Mercedes-Benz diagnostic software, tools and machinery. We employ experienced, factory-trained ASE Master Certified technicians whose expertise lies in Mercedes-Benz service and repair. We're able to provide you with Mercedes-Benz repairs at a lower cost that the dealer, while using the same quality factory parts, plus a longer 18 months/18,000 miles warranty. 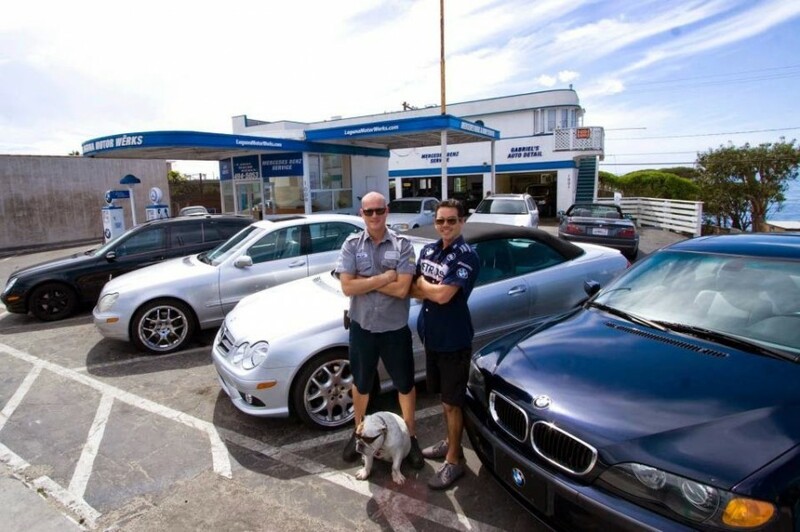 We truly are the best Mercedes-Benz dealer alternative in Laguna Beach. Call us today 949-494-5053. Read our outstanding reviews on SureCritic. These guys go out of their way. One stop, easy, courteous and professional. Love going here and skipping the dealer. So much easier and faster. Everything is repaired right the first time....no returning like I used to do at the MBZ dealers I have used in the PAST. They were able to get my car fixed without an appointment and ready before the time needed, and also gave me a loaner car to use. I have been using Laguna Motor Werks for about 2 years now. They do a great job at reasonable prices. And all the employees are very nice.